"We are women who have known Brett Kavanaugh for more than 35 years and knew him while he attended high school between 1979 and 1983. For the entire time we have known Brett Kavanaugh, he has behaved honorably and treated women with respect. We strongly believe it is important to convey this information to the Committee at this time," the letter states. 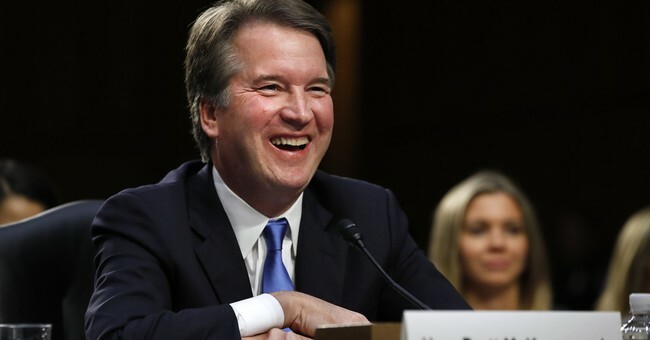 "Brett attended Georgetown Prep, an all-boys high school in Rockville, Maryland. He was an outstanding student and athlete with a wide circle of friends. Almost all of us attended all girls high schools in the area. We knew Brett well through social events, sports, church, and various other activities. Many of us have remained close friends with him and his family over the years." "Through the more than 35 years we have known him, Brett has stood out for his friendship, character, and integrity. In particular, he has always treated women with decency and respect. That was true when he was in high school, and it has remained true to this day," the letter continues. "The signers of this letter hold a broad range of political views. Many of us are not lawyers, but we know Brett Kavanaugh as a person. And he has always been a good person." The accusation, reportedly, is that Kavanaugh and another young man locked a woman in a room by herself during a party in high school. The woman was able to get out and was not harmed. (UPDATE: The New Yorker is reporting the woman, who refuses to be named, claims Kavanaugh "tried to assault her" at a party in high school). "I categorically and unequivocally deny this allegation. I did not do this back in high school or at any time,” Kavanaugh said.